Assuming the image exists and you're ready to create a container, follow the following steps to convert it into something your learners can actually use. 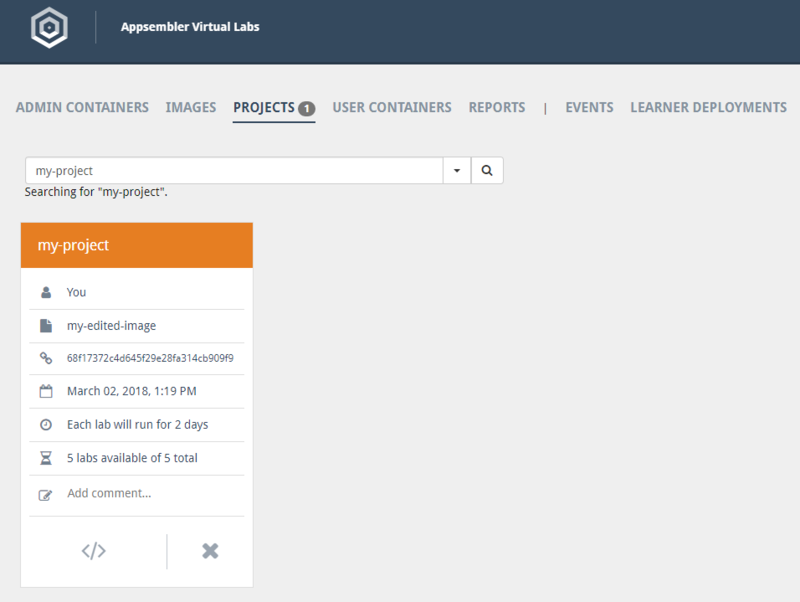 Create an admin container from an image by clicking the Create Container button on the image you want to use on the Images tab of your Virtual Labs dashboard and filling in the name of your new container. 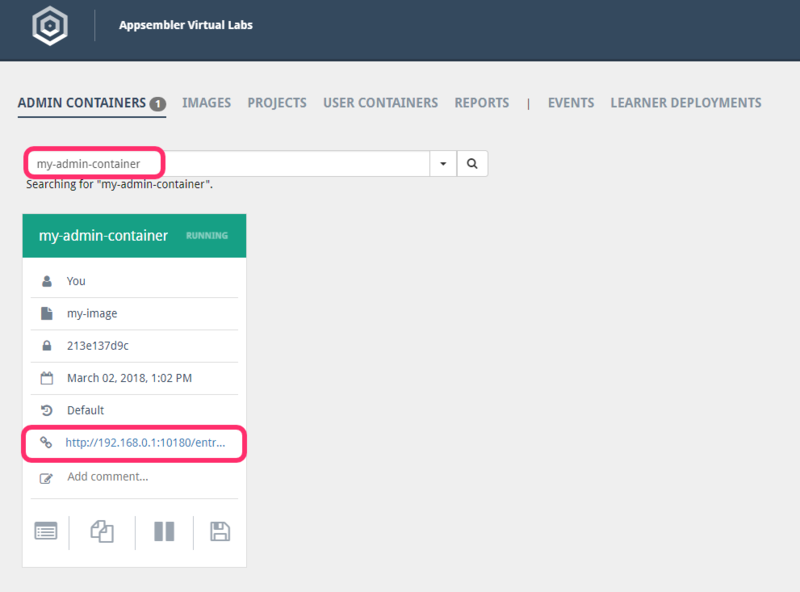 In the Admin Containers tab, find the container you just created and click the link to open it up. At this point you can interact with your software in order to manipulate it into the state that you want to present to your learners. 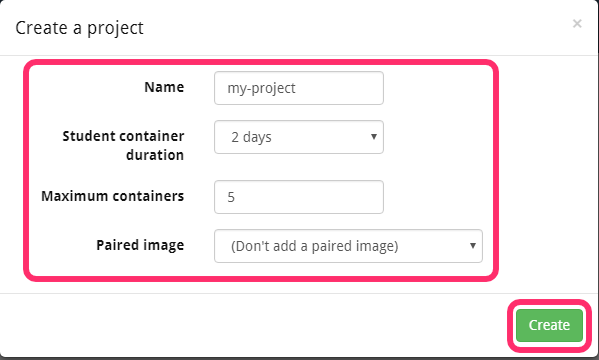 Once you're done, save the container as an image by clicking the Save As Image button. Again, name it distinctively so that you can find it again later. 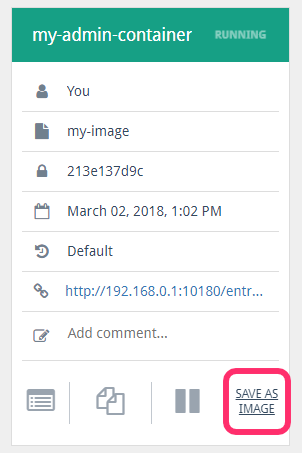 Next head back to the Images tab and find your image, either by scrolling or searching, and hit the Create Project button. Maximum containers: how many containers you would like to cap the lab at. Typically for this, you should use your projected learner numbers +25% for a reasonable buffer. Do not just put in a random huge number. This will cause resource issues. 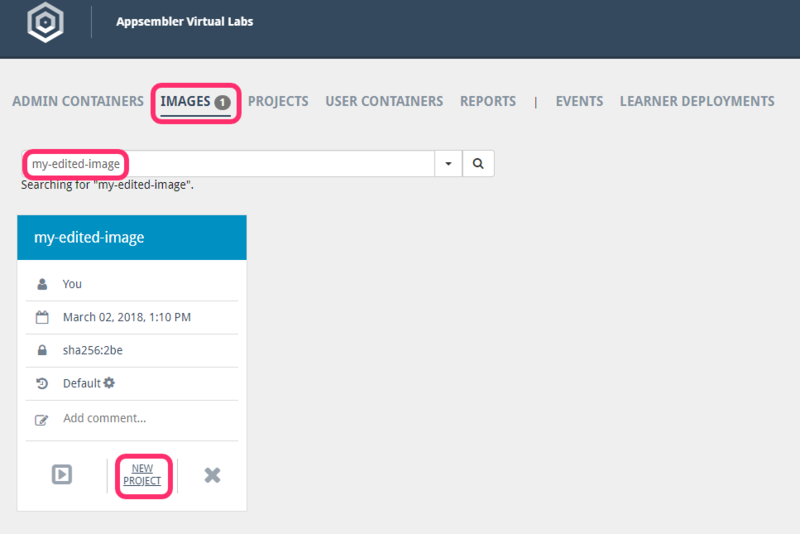 If you are using a shared volume container, pick the paired image. 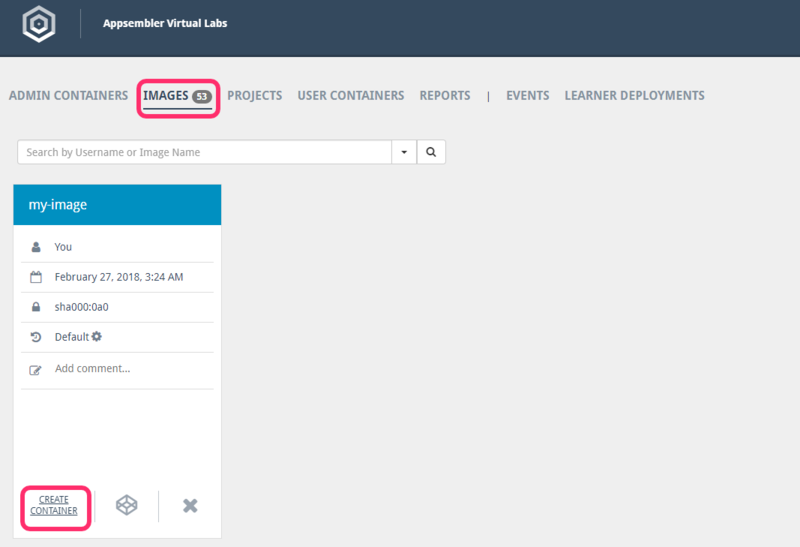 Most of the time, you will not need to do this, and should leave it set to (Don't add a paired image) but check out Creating shared volume containers in Virtual Labs for the full process of doing that. Hit Create and head over to the Projects tab in order to see your new project. Once your project exists, you can follow the steps outlined in Adding a Virtual Labs project to your Open edX course to make use of it.